J W Weart is not by any means a household name in Vancouver – although he almost had greater name recognition as ‘The Weart Building’ was announced, but then on completion became ‘The Standard Bank Building’. It’s still standing, but there’s no Standard Bank anymore so it’s now just ‘The Standard Building’. The Weart name does score greater recognition on a geographical scale, having both a mountain and (for the time being) a glacier named after him. John Walter Weart was born in Brockville, Ontario in 1861 and worked first in a foundry in his home town in 1870 (aged 9!) and then as a carpenter in Belleville from 1873 to 1879. He then obtained a teaching certificate, teaching until 1882. 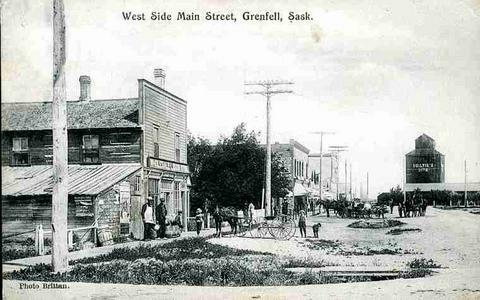 He migrated west as far as Manitoba, working in the furniture business in Brandon and Deloraine, marrying his wife Minnie in 1883 and starting a family. 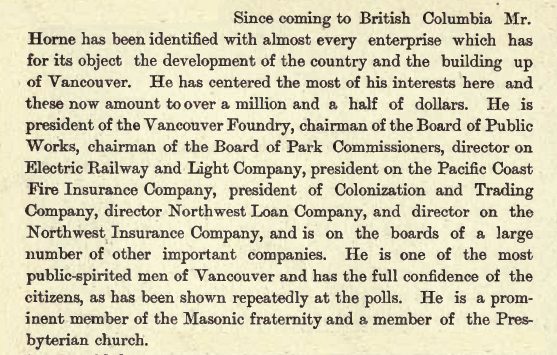 He seems to have moved on to British Columbia in 1890, and in the early 1890s owned an 8 acre homestead which today is underneath Burnaby’s Metrotown Mall. He was worth including in the 1893 publication recording the credit rating of Lower Mainland residents where he only rated as ‘Good, but slow’ to pay. 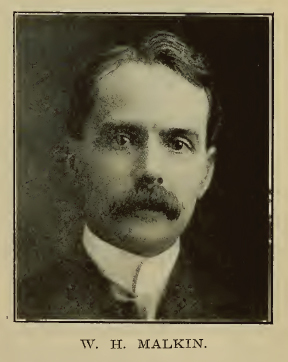 Weart studied law as a student with George H. Cowan from 1894 to 1896, worked a manager in a law office for two years and went on to practice law from 1898 to at least 1907. 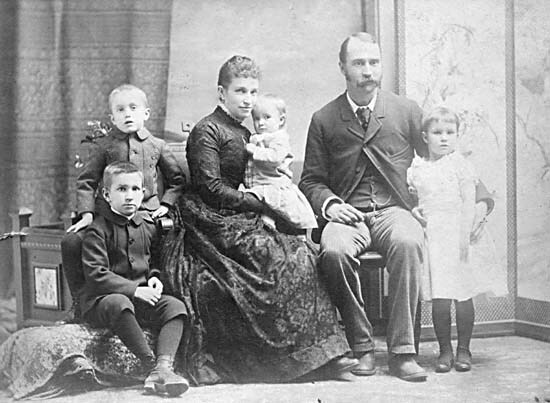 He had six children, three while living in Manitoba, every two years from 1884 onwards, (Arthur, Gertrude and John) and three more in British Columbia in 1890, 1893 and 1895 (Eva, Aileen and James). He became involved in politics in the early 1900s. 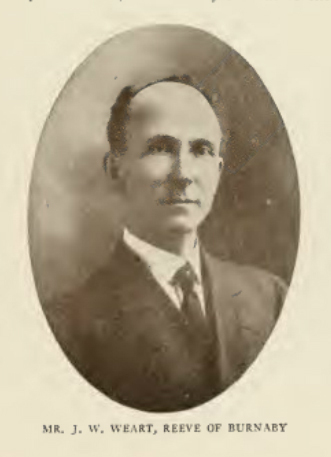 He was an unsuccessful candidate for a seat in the provincial assembly in 1907.He then became reeve of Burnaby serving there in 1911 and 1912. He was elected to the Legislative Assembly representing South Vancouver in 1915, and became Speaker of the House. At the same time he maintained his business interests which included being manager of the Investors Guarantee Corporation Ltd.
Weart’s first involvement in property development was perhaps the most complex, and surprising. In 1894 a new Anglican priest was ordained in Vanvouver, Rev. 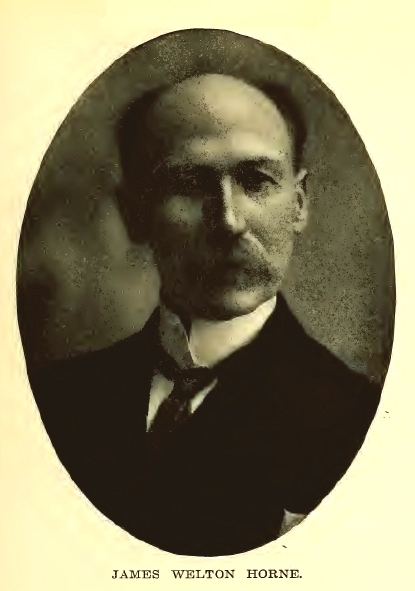 Louis Norman Tucker.Within two months of arriving he had taken the chair at a special vestry meeting to decide what to do about the lack of an appropriate building. The next Sunday he noted in the vestry book: “Launched scheme to build Christ Church.” With only $288.87 cash on hand, Tucker enrolled the services of J.W. Weart, at that point a 32-year-old articling student-at-law. 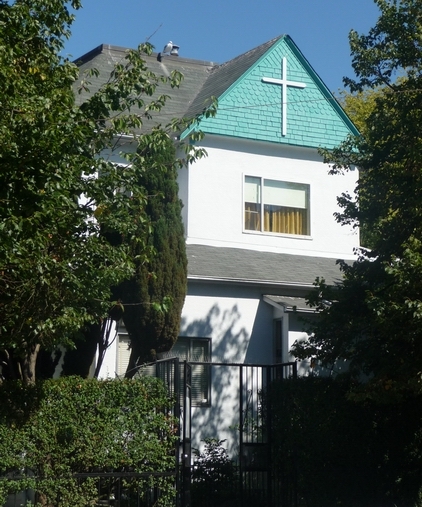 As a church publication explains “To rescue Christ Church, Weart devised a complicated scheme. He incorporated “The Christ Church Building Co., Limited Liability.” The company was authorized to issue up to 600 shares of stock. The value of each share was set at $100. One hundred shares went to the church in exhange for title to its assets, and 400 shares were sold to subscribers, most of them men in the congregation. 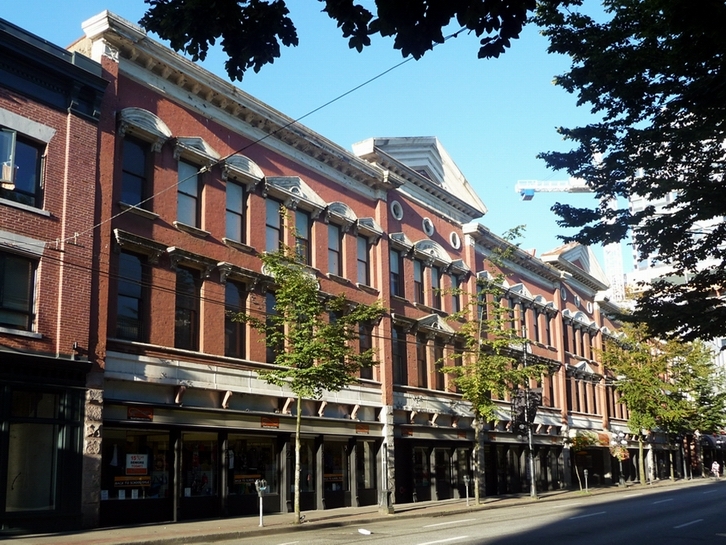 In terms of property development, Weart was involved with the Exchange Building Company, whose property was constructed on Hastings Street near the Carter-Cotton building, designed by J S Helyer and Son (the designers of the Dominion Building up the street) and completed in 1909. Although the postcard of the time is labelled ‘Stock Exchange Building’ the stock exchange never moved in, and it was not the company name either. These days, minus the elaborate cornice and some other details it’s a single room acccomodation property called Regal Place. J W Weart was also manager and solicitor for the Metropolitan Building Company. 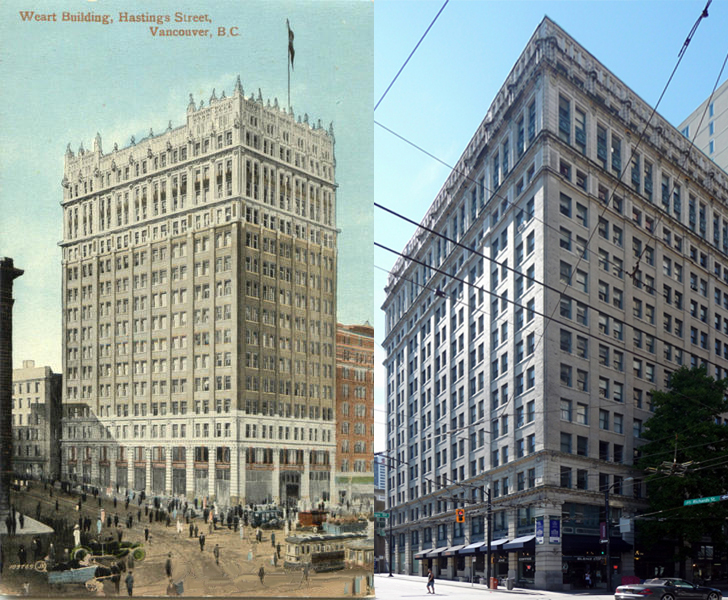 This was another Helyer designed building completed at the height of Vancouver’s big building boom in 1912. Sadly, it was demolished many years ago. And as the manager of the Investors Guarantee Corporation Ltd he was important enough that initially the impressive 15-storey steel-frame building was called ‘The Weart Building’. Even more impressive as at the time there was, theoretically, a ban on any building going over 10 storeys in the city. 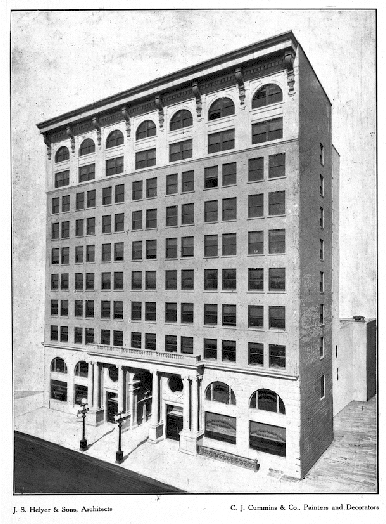 Completed (like the Metropolitan Building) in 1912, the building was designed by Seattle architects Russell Babcock and Rice (although Mr Russell did the work and received the credit). Completed on a similar scale and at a similar price to the Rogers Building, the Standard Bank Building had an all terra cotta face over a steel frame, but never got the elaborate tracery that seems to have been based on New York’s gothic Woolworth Building which had started construction in 1910. 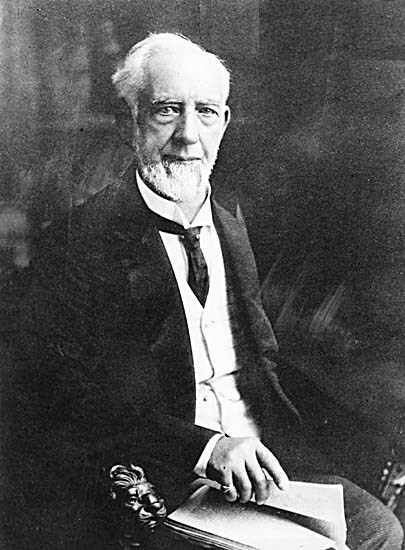 Weart was named chairman of the Garibaldi Provincial Park board in 1927, which is how a mountain ended up named after him. He died in 1941. 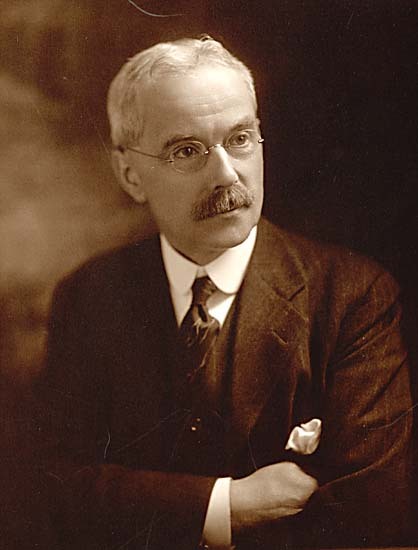 His obitiary in the Vancouver Sun ran to several inches; L A Hamilton had died on the same day (he was an alderman, surveyed, named and determined the city’s street pattern) and rated just 10 lines. (The reference to the Dominion Bank Building is probably an error – there’s no evidence of Mr Weart’s involvement in that company). 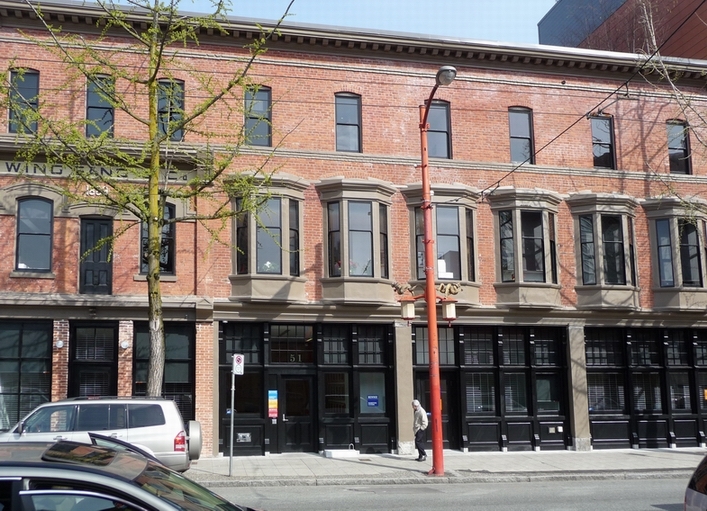 Yip Sang was the head of the Wing Sang Company, an important Vancouver Chinese trading company from 1888 onwards. 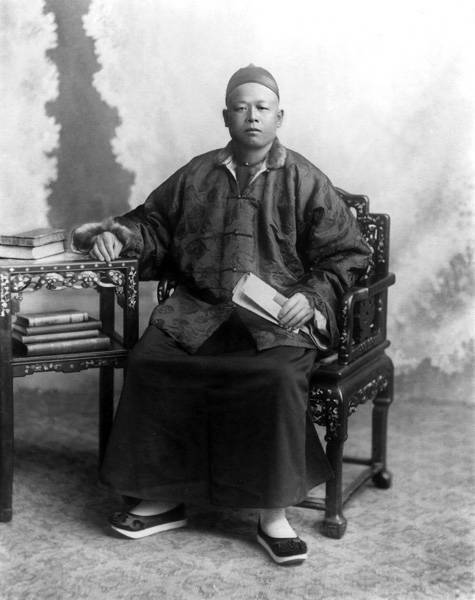 Yip Sang was born in Guangdong Province in 1845, and came to San Francisco on a sailing junk from Hong Kong in 1864. He earned enough by washing dishes, cooking in a restaurant and panning gold on his trip to the United States to be able to return to China and identify the woman he intended to marry. He returned to the US, among other jobs cooking for cowboys in Montana, allowing him to return again to China to marry and have two children. His first wife died, but he had already married another to look after her and his children. On a further trip back he married again, so now had two wives to look after his three children. 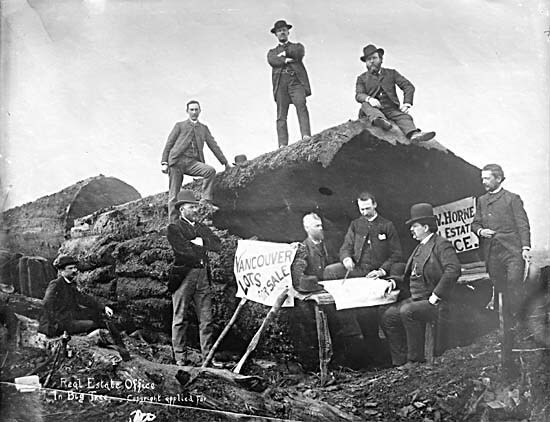 In North America he passed through Vancouver, headed for the Cariboo gold fields, but with no luck there ended up selling coal door-to-door in New Westminster. Finally his luck was in when he impressed Andrew Onderdonk, the contractor building the CPR line from Port Moody to Kamloops, becoming bookeeper, timekeeper and paymaster for the Chinese work gangs building the line. He then started supplying the CPR with work gangs, recruiting in the Pearl River Delta and while there marrying a fourth wife. 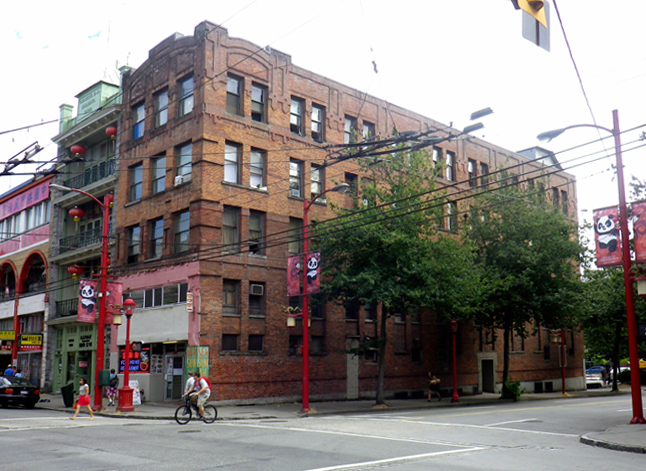 Once the railway construction was completed Yip Sang returned to Vancouver, establishing the Wing Sang Company (it means ‘everlasting’) in 1888. 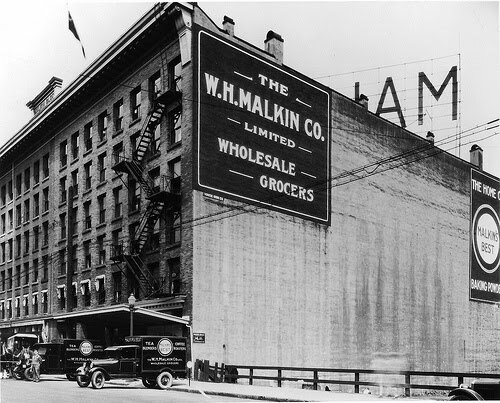 He built what was probably the first brick building in Chinatown on Pender Street, enlarging the building in 1901 to three storeys to allow him to bring his entire family from China (using a design from T E Julian) and then building an even larger 6-storey family and stores block in 1912 at the back of his lot on Market Alley, this time using Edward Stanley Mitton as architect. By 1908 Yip Sang was one of the four largest Chinese owned companies in the city with real estate worth over $200,000. Yip Sang’s family grew as successfully as his businesses, with 19 sons and 4 daughters all living with their father and three wives and other family members including numerous cousins. 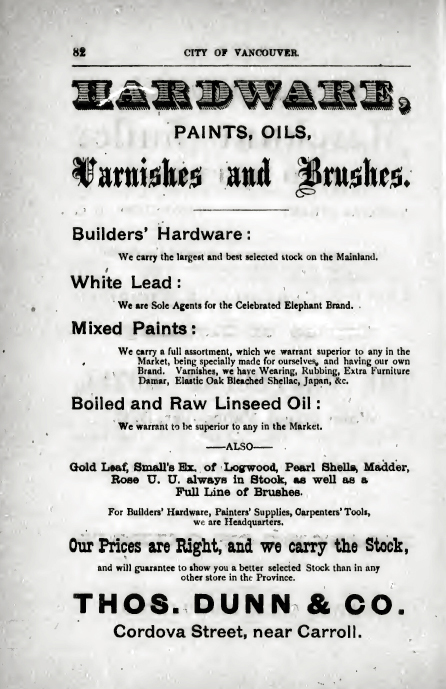 The growing family moved to the new building at the back, leaving space for the expanding businesses covered by the Wing Sang company, including labour supply to the railway, rice, silk and clothing imports, salt herring export and steamer ticket brokerage. Yip Sang never learned English well, but employed two secretaries, one English speaking and one Chinese who could also speak English. In 1911 when Sun Yat-Sen and his followers toppled the Manchu Dynasty, Wing Sang cut off his queue and adopted western dress. 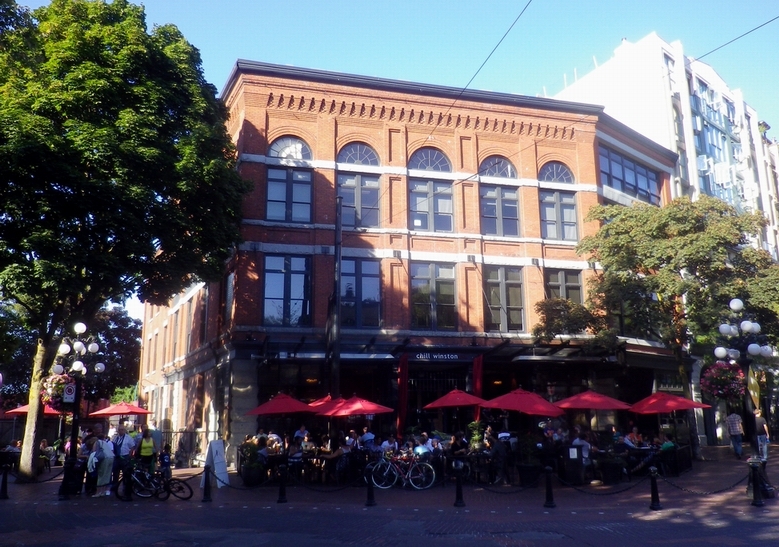 He owned at least 16 lots in the city, including the 11-lot Canton Alley tenament district of homes and businesses which saw construction on Pender Street in 1903 ans 5 more buildings that cost $50,000 to develop in 1904. A 1912 building replaced the 1903 building with a substantial 7-storey apartment block. While those buildings were cleared away many decades ago, two other buildings developed by the Wing Sang Company are still standing. 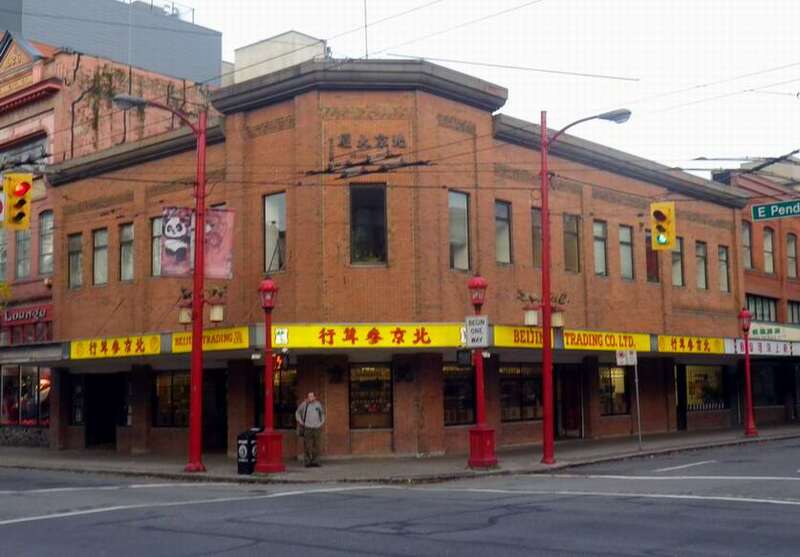 The Chinese Times Building was completed in 1902 to designs by W T Whiteway, working with Chinese architect W H Chow – even though in theory the Chinese were prevented from working as professionals in the city. 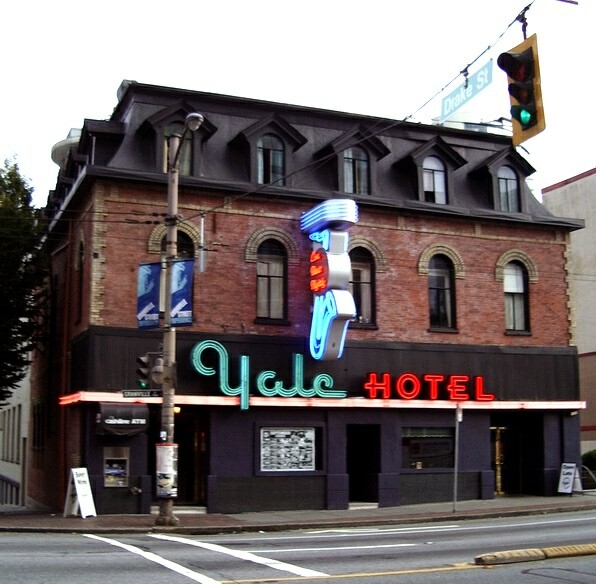 The building sits on the corner of Pender and Carrall, and on the back half of the lot (so on Carrall Street) J G Price designed the West Hotel for Yip Sang in 1913. As with several of his Chinese competitors, Yip Sang didn’t only invest in Chinatown. 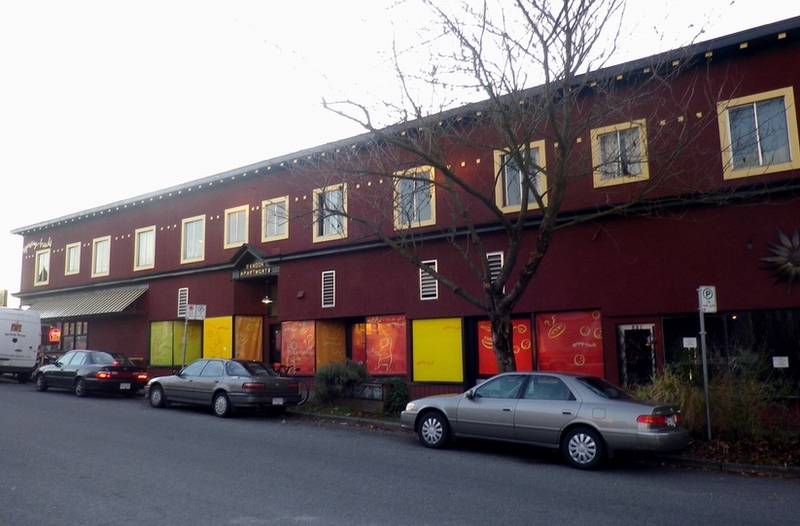 In 1912 J G Price designed the Fraser Hall for Wing Sang, located at Fraser and 46th Avenue. It’s still there today, 100 years later. Yip Sang died in 1927, his death being marked by the longest funeral procession Vancouver had ever seen. Unusually, he opted to be buried in Vancouver rather than having his bones returned to China, as normal custom would have indicated. 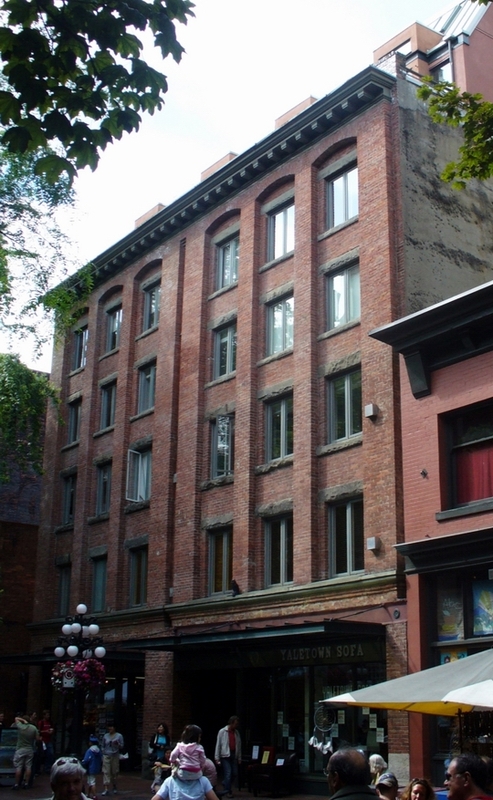 The buildings on Pender Street stayed in the family until 2001. 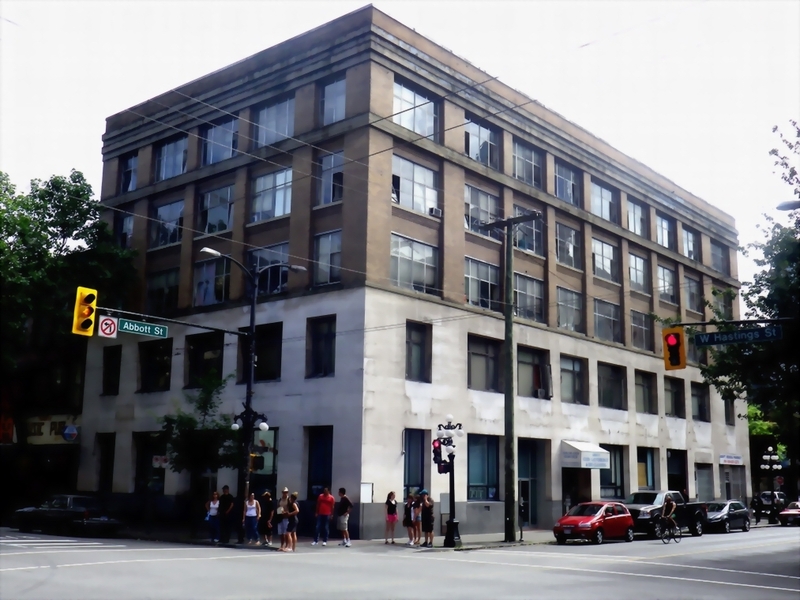 In 2004 Bob Rennie acquired them and undertook a massive restoration project, moving his realty company to the Pender Street building and installing his extensive art collection and a gallery for curated works into the gutted six-storey family block on Market Alley. 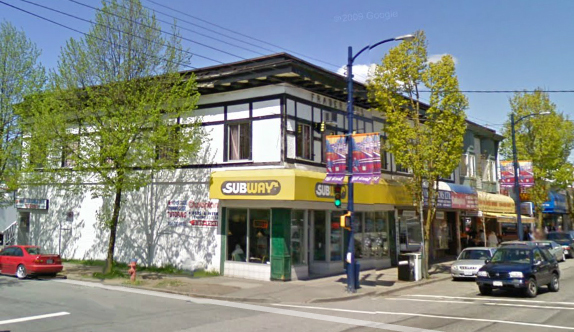 Yip Sang and Chang Toy, probably the two best-known Chinese merchants trading in Vancouver at the start of the 20th Century have been extensively written about, but far less has been published about Loo Gee Wing. His story is just as interesting, and there are still several buildings standing today that he had built. The references to Loo Gee Wing appear in a variety of contexts – as a merchant with losses as a result of the 1907 riots, as the owner of one of two theatres playing Cantonese Opera, and in a series of sensational court cases that eventually fizzled out. The various pieces have been assembled here in roughly chronological order. 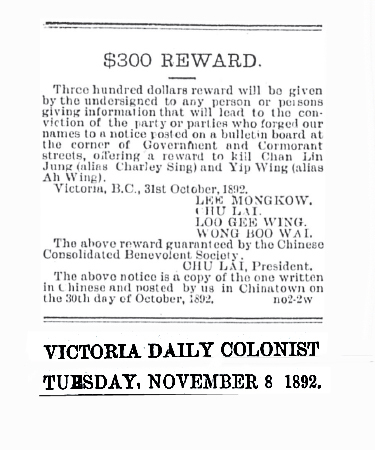 It’s not entirely clear when Loo Gee Wing arrived in BC, most likely in 1887 when he acquired Kwong Lee and Co. 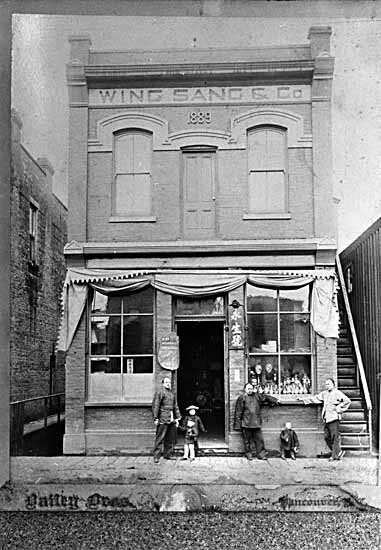 In 1878 he was in San Francisco, while his father visited Victoria, so there were earlier connections, and Mr. Wing was an experienced and successful merchant long before he arrived here. 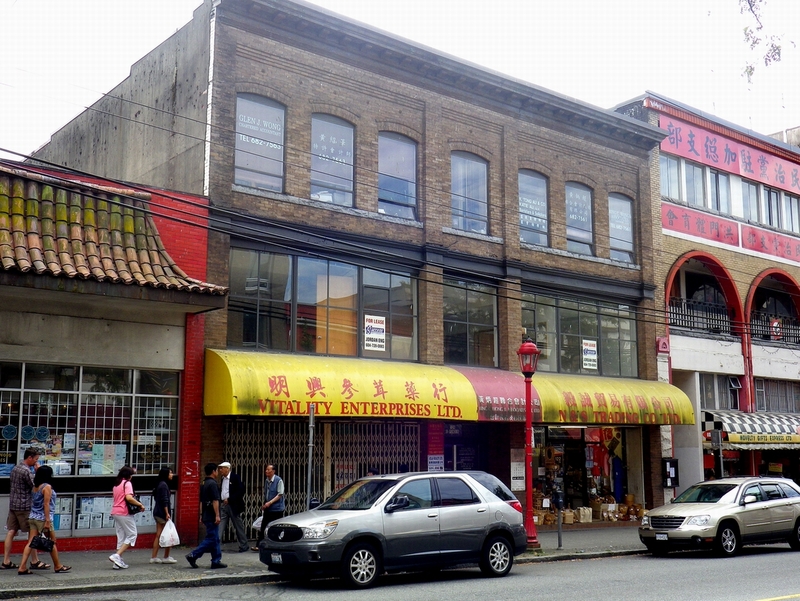 He bought some land in Victoria in 1890 on Fisgard Street that he then sold to another Chinese merchant, Loo Tai Cho, in 1893. He was certainly living in Victoria in 1892. We also know from the 1907 McKenzie King hearings into the riots earlier that year how he dressed. The Province newspaper described him as “dressed like a tailor’s model in the suit of a prosperous Englishman down to his patent leathers“. (He was paid $153 compensation for the damage to his 45 Dupont Street property). Whether it’s accurate or not, the Province, claimed Loo Gee Wing was one of the two wealthiest men in Chinatown. Many recent published sources repeat the statement “Loo had made his fortune in the Cariboo Gold Rush”, but there is little evidence of this. There’s no question that somewhat later (the earliest record seems to be in 1912) Loo Gee Wing had interests in Barkerville in mining – up to this date all references to his business dealings relate to property, court cases (some involving gambling), or trading. An early reference to a Loo Gee Wing – likely to be the same person – is a complex case of 20 pounds of opium (valued at over $20,000) found in a rowboat in San Francisco harbour in 1881. The case was referred to as “Three Thousand Eight Hundred and Eighty Boxes of Opium v. United States”. It was reported to be ‘faked’ to look as if it was of Hong Kong origin but said to be actually manufactured in the US of Turkish opium. Loo Gee Wing of Hop Kee & Co gave evidence about supplying Turkish sourced gum opium, manufactured at Hop Kee’s factory in New Jersey (not in any way illegally as far as the case details appear to suggest). It was reported in the trial that Hop Kee had stopped dealing in opium in San Francisco in 1881. The judge seems to have had issues with some of Loo Gee Wing’s testimony, and concluded it really was imported opium. 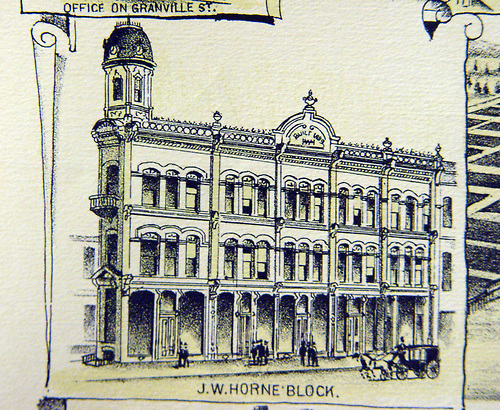 In 1862 the Kwong Lee Company was said to be the second largest landowner in the city of Victoria after the Hudson’s Bay Company. Kwong Lee also legitimately operated one of the 15 opium refining factories in Victoria in the years between 1860 and 1908. 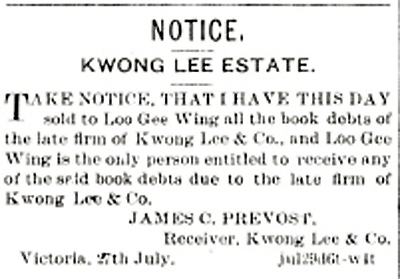 The notice reprinted here says Loo Gee Wing was buying Kwong Lee in receivership. The company’s owners were Loo Chock Fan and Lew Chew Fan – Loo Gee Wing’s father (Loo and Lew are obviously interchangeable in western records). 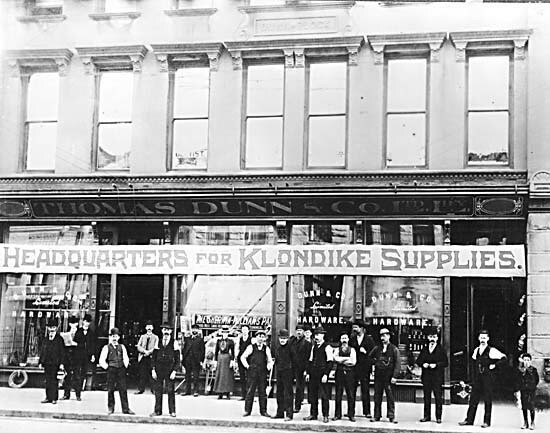 They were the largest Chinese import/export business in British Columbia, and the brothers also operated Kwong U Shing in Guangzhou, Kwong Man Fung in Hong Kong and Hop Kee & Co in San Francisco. They had five other branches in BC, including Yale and Barkerville. It was Loo Chock Fan who arranged the arrival of the first 265 Chinese labourers, and many worked in his gold mine. 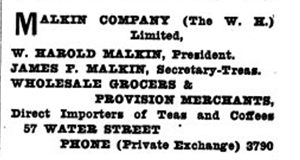 It is said that due to heavy borrowing and family disputes the company’s assets were sold off in the mid 1880s – in this case to the son of one of the founder’s. No doubt the long drawn out ‘great opium case’ had an impact on company finances (and a lucrative source of revenue) as well. Loo Gee Wing was no stranger to the courts. 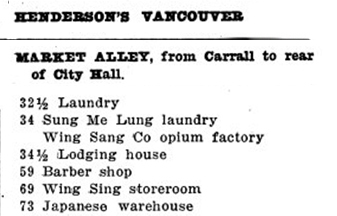 In 1903, Betty Keller’s ‘On the Shady Side’ details the biggest police raid to that point in Vancouver’s history on a gambling joint, operated by Peter Sass, (who was white), at 516 Carrall St (in Chinatown). He was said to be a recently opened rival to Loo Gee Wing’s equally elaborate (and illegal) operation at 70 Dupont Street. With Sass’s opening, Loo Gee Wing added female dealers, but there was still too little business for two large scale gambling operations. 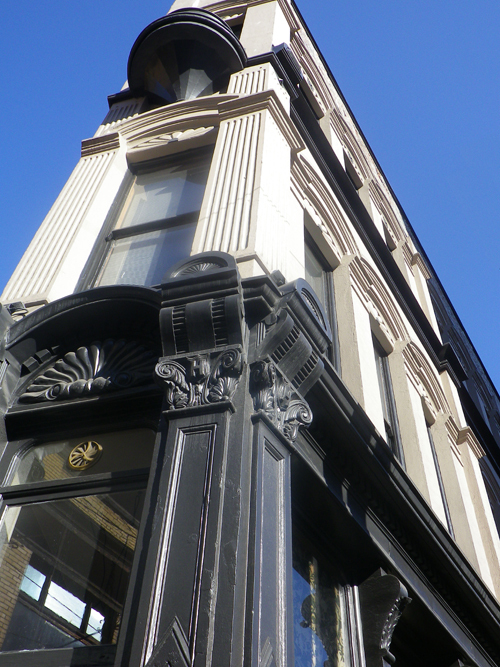 It is suggested that Mr Loo arranged the police raid on Mr Sass – Mr Sass certainly thought so, and a week later 15 men with axes effectively closed 70 Dupont. A month later Gin Lin Chung, aka Charlie Sing, a professional gambler said to be the original tipster for the raid on Mr Sass was found nastily dead in Steveston. A complex case ensued for perjury when one Li Ping was found guilty after admitting that Chan Toy had paid to say he had seen a Japanese man leaving Charlie Sing’s room after the murder. A year later in 1904 the case almost repeated itself in a different context. This time Loo Gee Wing was charged with conspiracy in Victoria, accused of setting up two Chinese men on a murder charge. The murder had occurred in Victoria – theatre owner Man Quan was killed in a fight, and two men were accused, tried and sentenced to death. The case was successfully appealed on a technicality, allowing their defence to introduce new evidence that the two accused murderers had not even been present, but that witnesses had been bribed to say they were present by Loo Gee Wing. His motive was said to be revenge for evidence that the accused murderers had given against a gambling operation (in a case that had never come to trial). The conspiracy case apparently collapsed when the judge found that Loo Gee Wing should have been accused of bribery rather than conspiracy. Loo Gee Wing is known to have built at least five buildings that are still standing today. The first was designed by Emil Guenther in 1904, and cost $21,000 to build. It has been significantly repaired over the years, but sits on the corner of Columbia and Dupont (these days called East Pender Street. Loo Gee Wing announced plans for a theatre back in 1905, but nothing came of this. 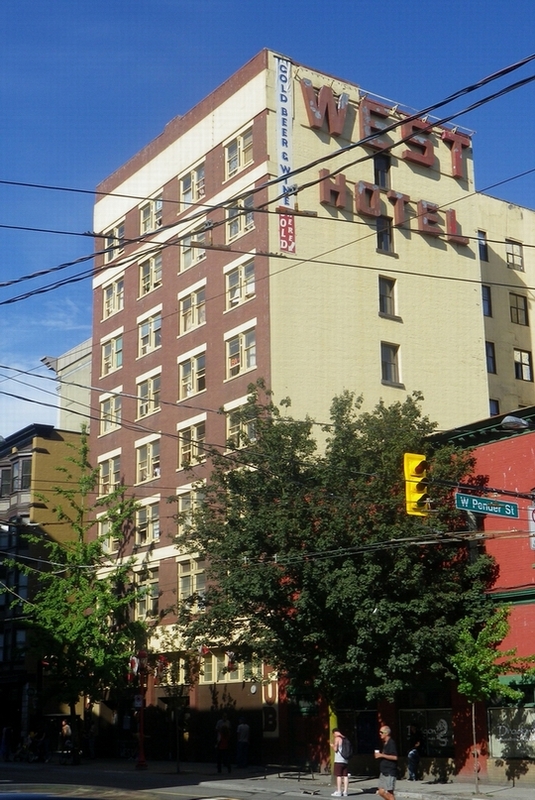 On August 3 the Colonist reported “Loo Gee Wing, a wealthy Victoria Chinese, has finally signed the contract for a hotel and theatre at Vancouver. 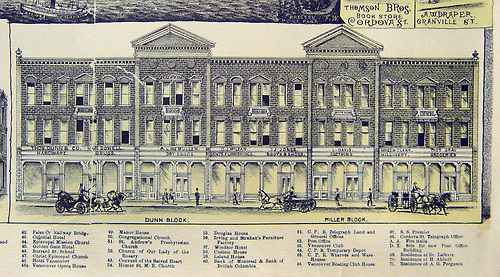 E W Houghton of Seattle is the architect and A P Gillies & Co of Seattle, the builders. 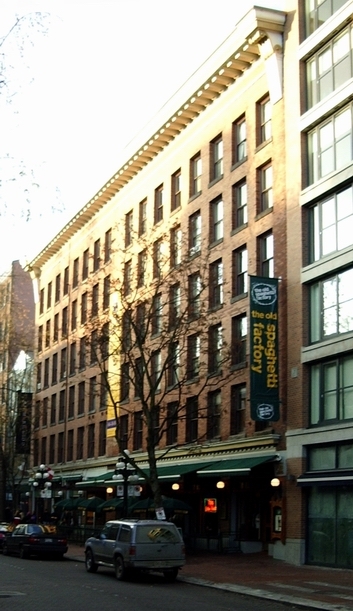 E. R. Ricketts of Vancouver, manager of the Vancouver Opera House has a ten year lease on the new building which will be part of the Northwest Theatrical Association circuit.” He clearly changed his mind about the 12 storey theatre and hotel, to be built on Hastings Street, and Mr Gillies sued for damages. Mr Gillies was clearly unhappy at the turn of the case having discovered that the lawyer he thought was representing him was now representing Loo Gee Wing. In July Mr Gillies attempted to have the lawyer dis-barred, and the case for damages was dismissed in August of 1906. 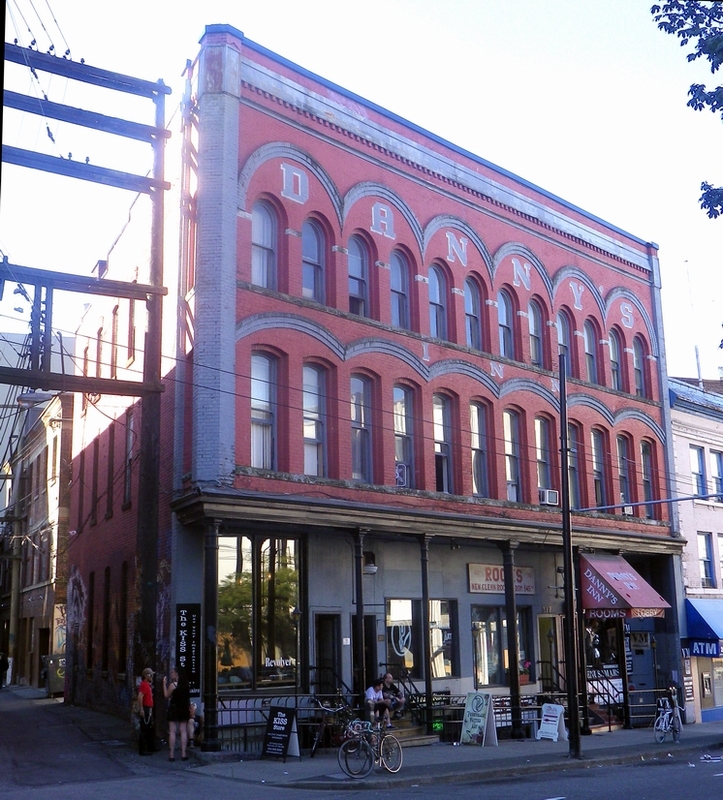 If the theatre had been built the debate about ‘taller buildings’ in the Downtown Eastside might have had quite a different context. 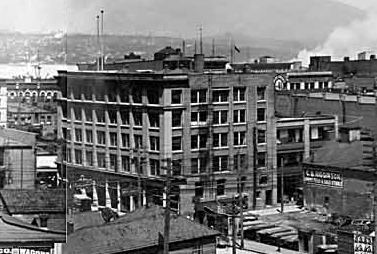 It was leased as office space, and was a prominent building, as this City of Vancouver Archives panorama from around 1909 by Richard Broadbridge shows. These days the building still marks an important corner, although the restoration of Woodwards on the diagonal corner makes it look a little tired. Today it’s called Abbott Mansions, and as with many of the earliest office buildings it’s now used as a Single Room Occupancy hotel. In 1912 Loo Gee Wing spent $2,000 on repairs to the building. The building next door – these days known as the Grand Union Hotel, and also completed in 1909, was also developed by Loo Gee Wing. 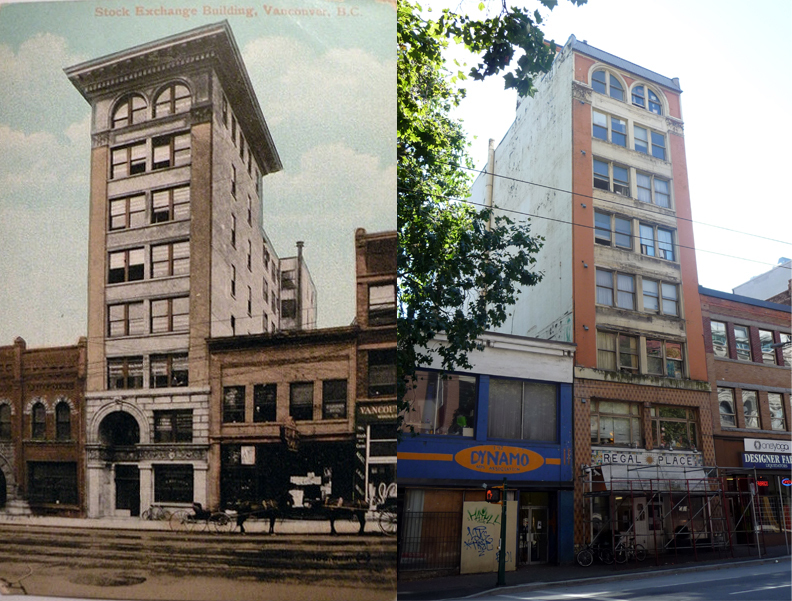 We can’t be sure when Loo Gee Wing built his Vancouver theatre, known as the Ko Sing Opera House at 124 East Pender Street, but it also seems to be around 1909. In 1914 we find him signing a contract with a Hong Kong performer, using a local booking agent, to appear at the theatre. He also spent $2,700 in repairs on the building that year. We know that Loo Gee Wing also had a theatre in Victoria. (It’s suggested he also owned a boat factory, store, laundry and hotel there). 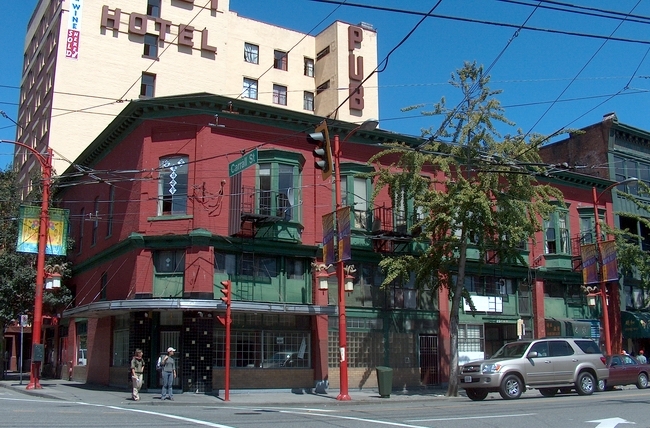 The main rival for patrons in Chinatown was the Sing Ping Theatre, owned by Chang Toy. 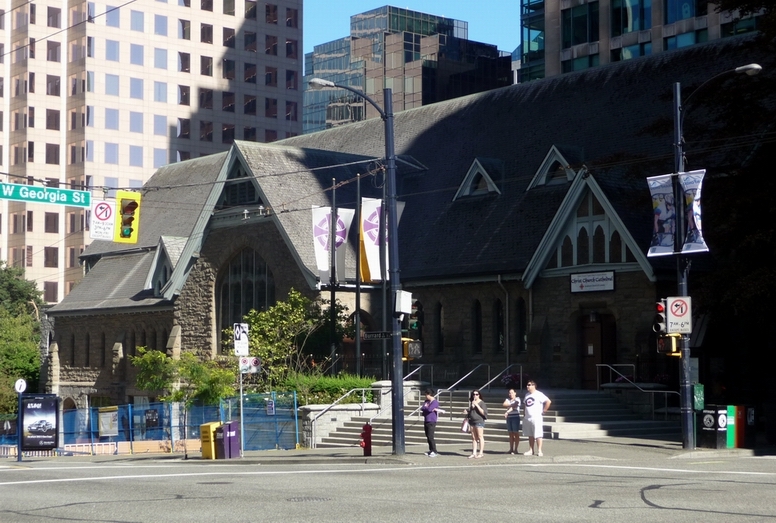 (There were theatres built in Hong Kong at the same period with the same names as Vancouver’s theatres). Stephen Brouwers suggests Loo Gee Wing was the more successful owner, as the arrangement of the building allowed him to benefit from retail sales that offset the costs of running the theatre. The Sing Ping ran at a loss and the first company to perform there was wound up in 1918, although it was soon replaced with a new company. Meanwhile the Ko Sing seems to have been successful enough that In 1921 Loo Gee Wing hired S B Birds to alter it to add dressing rooms, boxes and a new ticket office. The appearance of the building today is largely unchanged, although the wooden windows have been replaced with aluminum units.